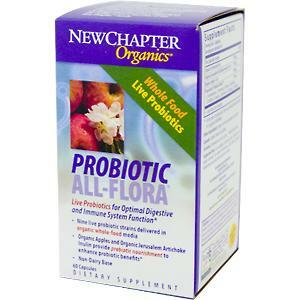 Probiotics are beneficial bacteria that occur naturally in the human intestinal tract. Foods “cultured” with beneficial strains of probiotics such as yogurt and kefir have been used throughout history to improve overall health and vitality, and today, there are many studies reinforcing their ability to balance and promote digestive health. 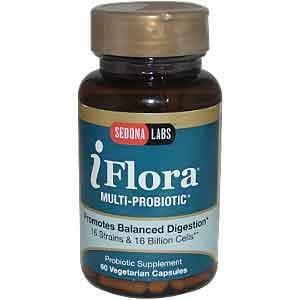 Probiotics also play an important role in modulating the immune system, 70% of which is located in the gut. The word “probiotic” means “for life”, antibiotics means against life. I cannot emphasise enough the importance of healthy gut flora. On World Hair Research I talk a lot about the importance of probiotics in a regimen for healthy hair and scalp. Many products exist, unfortunately, not all probiotics are equal, here I will list the best probiotic products, based on my research/opinion. A general rule, for the greatest percentage of active (live) cultures is to buy probiotics that require refrigeration. However, this is not always the case. Also, remember, more strains doesn’t mean “better”. Some of the best probiotics have 8, 9 or even 4 strains. Note: The top 4 are interchangeable. Try one for a month, if you do not see results try another from the top 4. One of these will likely work for you. If not, you can try the other good ones listed below or scroll all the way down to read about using single-strain probiotics (some people react differently to different strains). 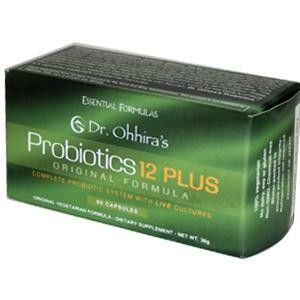 Dr. Ohhira invested years of testing on subjects and came up with a non-refrigerated probiotic supplement line. Renowned microbiologists, lichiroh Ohhira, Ph.D., and scientists from Okayama University combined ancient Japanese fermentation skills with modern technology to create this unique beneficial product. This one has twelve (12) strains of lactic acid bacteria, including powerful proprietary TH10, are used in a complex 3-year fermentation process. The nutrient rich cultures medium (an optimum natural pre-biotic) composed of vegetables, fruits, mushrooms and seaweeds is encapsulated along with the live lactic acid bacteria. The probiotic system also includes organic acids naturally produced by fermentation. These important substances create the proper GI environment in which all the body’s unique blend of hundreds of strains of friendly bacteria can flourish. Lactic Acid Bacteria used in fermentation: Bifidobacterium breve ssp. breve, Bifidobacterium infantis ssp. infantis, Bifidobacterium longum, Enterococcus faecalis TH10, Lactobacillus acidophilus, Lactobacillus brevis, Lactobacillus bulgaricus, Lacrobacillus casei, Lactobacillus fermentum, Lactobacillus helveticus ssp. jugurti, Lactobacillus plantarum, Streptococcus thermophilus. 2- The Jarrow Formulas, Jarro-Dophilus EPS, 5 Billion Organisms per Capsule, 120 Veggie Caps is very good and more affordable. This one is “Room Temperature Stable”, requires no refrigeration. It has eight (8) Species with Clinically Documented Strains. The 8 different strains of probiotic bacteria are delivered directly into the small intestines where probiotic bacteria fully exert their beneficial effects. Probiotic bacteria in Jarrow-Dophilus EPS are selected from the following 4 genera: Lactobacillus, Bifidobacteria, Lactococcus and Pedicoccus. 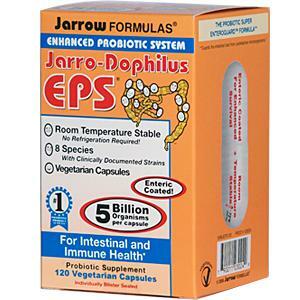 Jarro-Dophilus EPS is a Stable-Dophilus due to its stability at room temperature and enteric coating which protects the probiotic bacteria from stomach acid. Bifidobacteria longum BB536 (Morinaga strain) has been clinically shown to stimulate immune response and suppress intestinal putrefactive bacteria. L. rhamnosus R0011 is a unique, high producer of polysaccharides that facilitate colonization and stimulate intestinal immune response. L. acidophilus R0052 assists in breaking down lactose (milk sugar) which may improve digestion of dairy products by those individuals who are lactose intolerant. Lactococcus and Pediococcus help reduce spoilage caused by unfriendly bacteria in fermented foods. This one was reported by a few to improve complexion and acne. This one contains ingredients such as the fermented soy, inulin, and apple that probably make it more effective. This one has nine (9) live probiotic strains delivered in organic whole-food media. Organic Apples and Organic Jerusalem Artichoke Inulin provide prebiotic nourishment to enhance probiotic benefits. A non-Dairy Base. It requires refrigeration. Contains nine strains of live probiotics cultured together on a non-dairy whole-food medium and then combined with growth-stimulating prebiotic organic apples and organic inulin sourced from organic Jerusalem artichokes. This one includes revered probiotic strains such as Lactobacillus acidophilus, Lactobacillus rhamnosus, and Lactobacillus helveticus, these help support optimal digestive and immune system function. When the culturing of Probiotic All-Flora is complete, the synbiotic-rich whole-food medium and live probiotics are freeze-dried together, a process that preserves their potency until consumed. Once consumed, the cultured whole-food medium and prebiotic whole foods activate the probiotics and enhance their effects. Both are part of the synergistic whole that benefits the entire digestive tract and immune system. This one contains a 5 billion CFU dose of ” True identity bifidobacteria & lactobacilli”. True Potency ensures 5 billion CFUs per capsule for the entire shelf life. Does require refrigeration. Doesn’t produce d-lactate or other harmful substances and has clinical research. It’s of human origin, implants well, survives acid, it’s resistant and more. 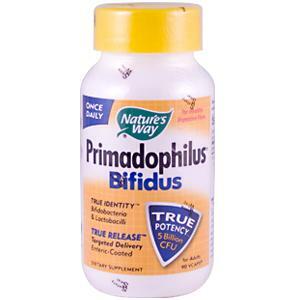 Align contains Bifantis—Bifidobacterium infantis 35624—a patented probiotic strain. Single-strain probiotics – to be added soon. This entry was posted on Monday, September 6th, 2010 at 2:31 am and is filed under ABC's, Inflammation, Probiotics, Products, Supplementation. You can follow any responses to this entry through the RSS 2.0 feed. You can leave a response, or trackback from your own site. I literally swear by probiotics for my general wellbeing, and take them on a daily basis without fail. I think there are many good brands out there, but unfortunately a lot of junk too. first rule of thumb would be to make sure you are going for a supplement and not a gimmicky yoghurt drink. Charlie, thanks for your comment. Right on, I think yogurts do not offer nearly enough organisms. The only exception would be raw milk organic grass fed cow/goat Kefir (but this is not yogurt). It is unfortunate that most probiotic supplements are a little pricey.. That is why the Jarrow’s formula is (for now) my favorite one. I like how it works with my body and the price is right. We all need the benefits of healthy gut flora. Here’s an article that mentions how gut flora is more important than DNA http://www.worldhairresearch.com/?p=99 “DNA Testing vs. Diet and Exercise”. Did you know if you gathered all the DNA from your body, 90+% of that would be bacteria DNA (not your DNA). Beneficial bacteria is good not only in the gut, but also on the scalp and in the mouth. I have found a lot of info on probiotics reducing inflammation and some resulting in hair loss improvement, I will be sharing these on this site soon. The challenge with probiotics is the hundreds of strains out there. It can be overwhelming on the first glance to see all these different strains. We don’t know enough about many of these.. I recommend people also eat fermented foods daily, you can eat Kimchi or Sour Kraut that actually taste good, or drink apple cider vinegar (ACV) or Kombucha tea or Kefir.